Seven in 10 Canadians say they would not likely choose to fly on a 737 Max airplane in the wake of two deadly crashes involving the Boeing-made aircraft, including the Ethiopian Airlines disaster on March 10 that killed all 157 passenger on board including 18 Canadians. A Forum Research Inc. poll of 1,103 Canadians conducted March 13 found that 71 per cent would not likely choose to fly on a Max 8, while 51 per cent would not be likely at all, and six in 10 said they would likely change their flight if it was on a Max 8. 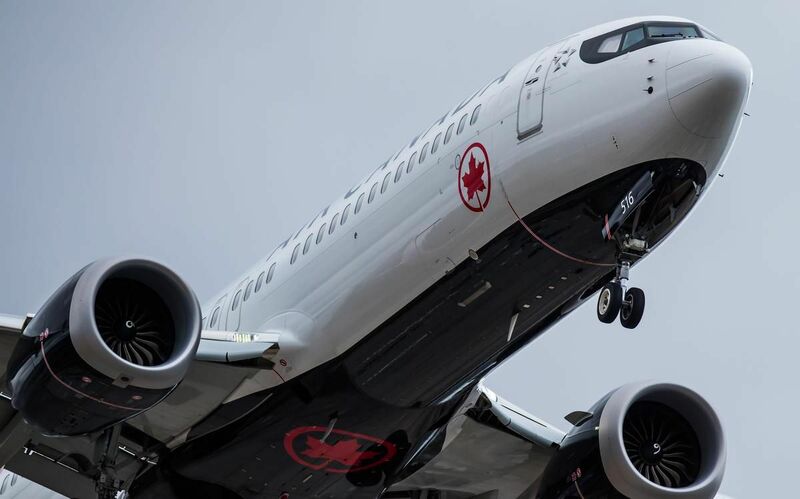 “Half of Canadians say they wouldn’t choose a flight scheduled to use a Boeing 737 Max 8 and almost two thirds are likely to change their flight if they learned it was going to use one,” said Forum Research president Lorne Bozinoff. Three-quarters of those polled agree with Ottawa’s decision on March 13 to ground all Boeing 737 Max 8 aircraft and ban the jet from entering its airspace until further notice as safety concerns continued to mount. Sixty four per cent of respondents agreed the planes should be grounded while 36 per cent disagreed. Canada and the U.S. had been among the last holdouts following a wave of Max 8 temporary groundings by jurisdictions including Australia, the U.K. and the EU in the Ethiopia crash aftermath. Transport Minister Marc Garneau said the decision was made based on new data suggesting a similarity between the Ethiopian Airlines crash and the other crash of a Lion Air Max 8 plane near Indonesia in October. Bozinoff said the strong majority of Canadians who agree with the grounding decision suggests that most respondents would have liked the call to have been made sooner. Those who were most likely to agree with the ban are 65 years of age and over and earning between $80,000 to $100,000, the poll found. The poll found that most Canadians travel by air once a year or less with 49 per cent saying they travel by airplane less than once per year. Nine in 10 feel safe when travelling by air while more than half (51 per cent) said they feel very safe.